US Army Capt. 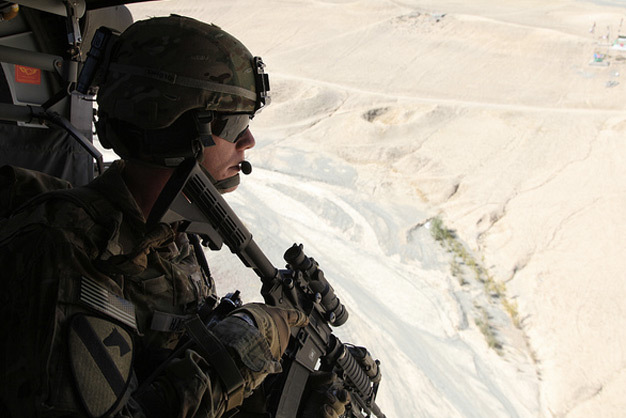 Scott Hall, Combined Joint Task Force-1, Regional Command-East, Bagram, Afghanistan, looks out the door of a UH-60 Black Hawk helicopter while flying over the Logar province in Afghanistan, October 18, 2011. Photo by Sgt. Gustavo Olgiati.